Ready to ring in the new year? 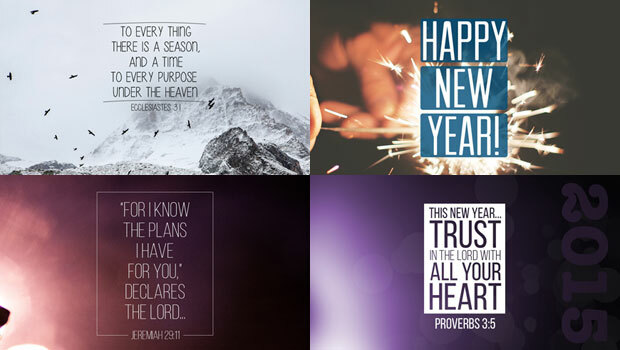 We’ve got some free New Year’s graphics so your church can celebrate the dawn of 2015 in style. New Year’s is a time to party, for sure, but it’s also a time of reflection and resolution. It’s a moment when people resolve to do better. Your church should be there with people, helping them think about resolutions that matter. Just start a conversation. Ask people how they celebrate New Year’s. Collect resolutions. Encourage people to share their New Year’s resolutions. Testimony time: Was 2014 a year of challenge and growth? Ask people to share something from the past year. Offer a prayer for 2015. We absolutely encourage you to get creative and create your own graphics. We highly recommend the Church Graphics Handbook by Brady Shearer. It comes with templates and graphics you can edit and tweak. Check out all of our free social media graphics. If you like this kind of help, you should considering joining our Courageous Storytellers Membership Site for more free graphics, downloads and other goodies. Hi there! The graphics look great, but when you click on the link the page can’t be found on Gumroad. Seems these were 2014 to 2015 graphics, outdated by now so the page does not exist! Hey Folks, sorry for the trouble! We had an issue with our provider and had to move the graphics somewhere else. They’re now available on Dropbox. The links above have been updated and should be working. Sorry for the hassle. Let us know if you have any problems getting the graphics.